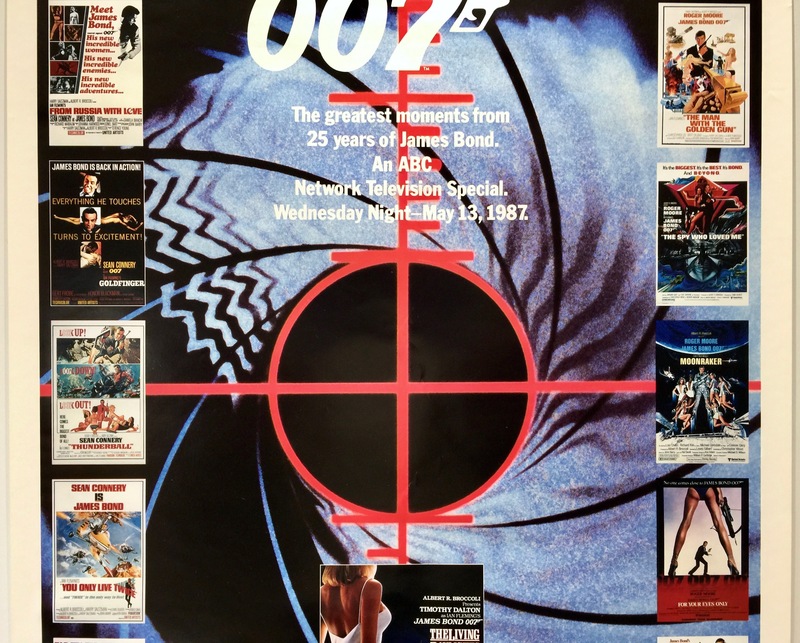 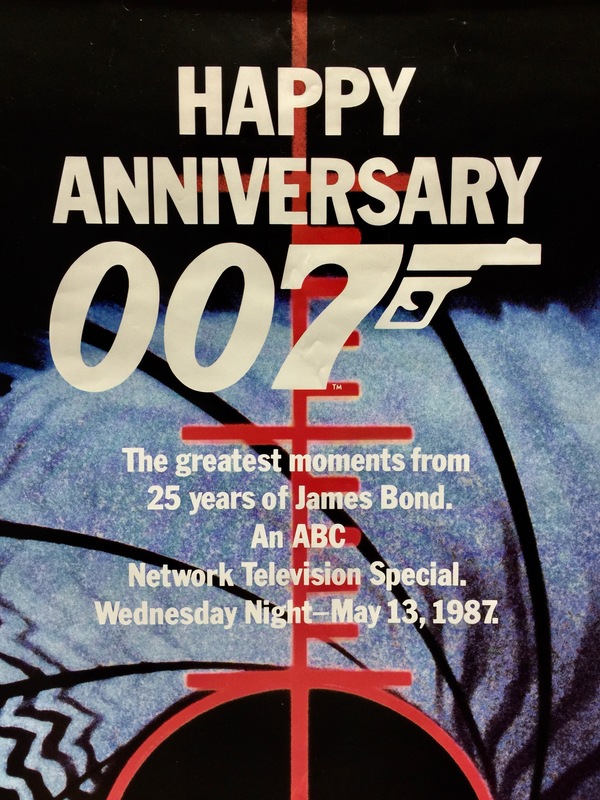 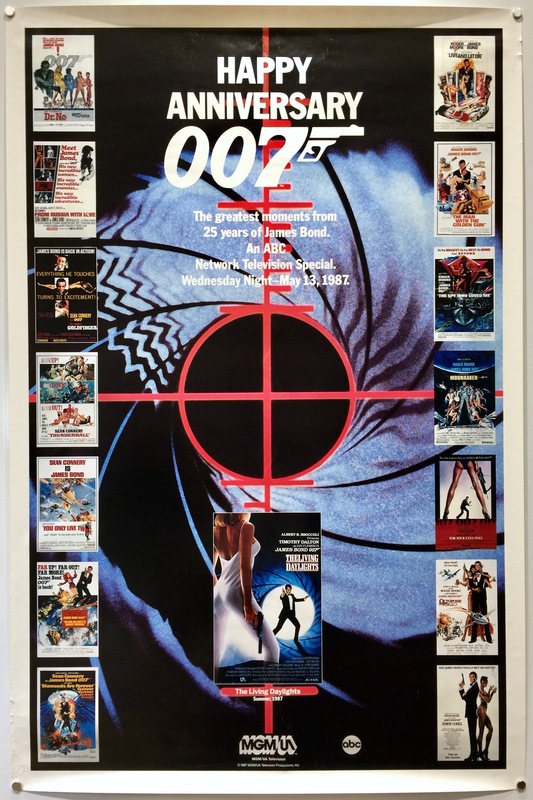 Happy Anniversary 007 is a 1987 hour long television special that aired on 13th May 1987 in the USA. 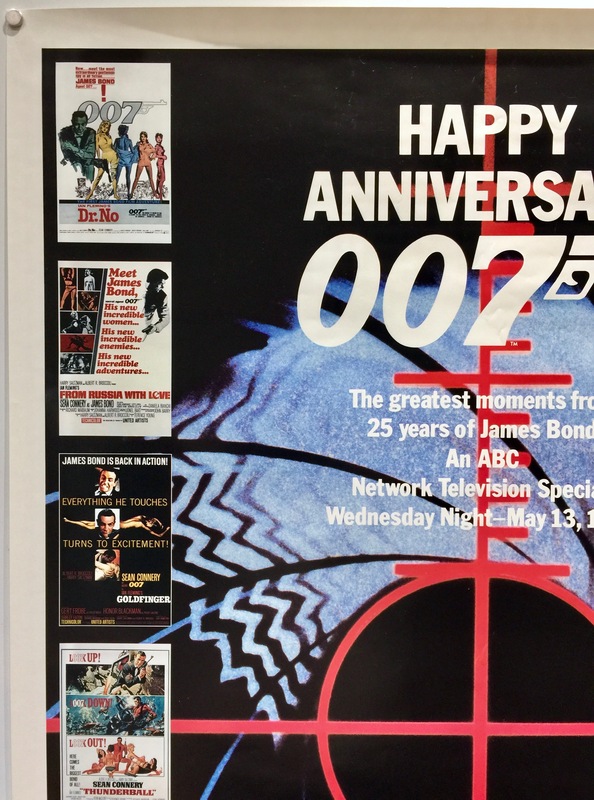 The program was directed by Mel Stuart and written by Time magazine’s veteran film critic Richard Schickel. 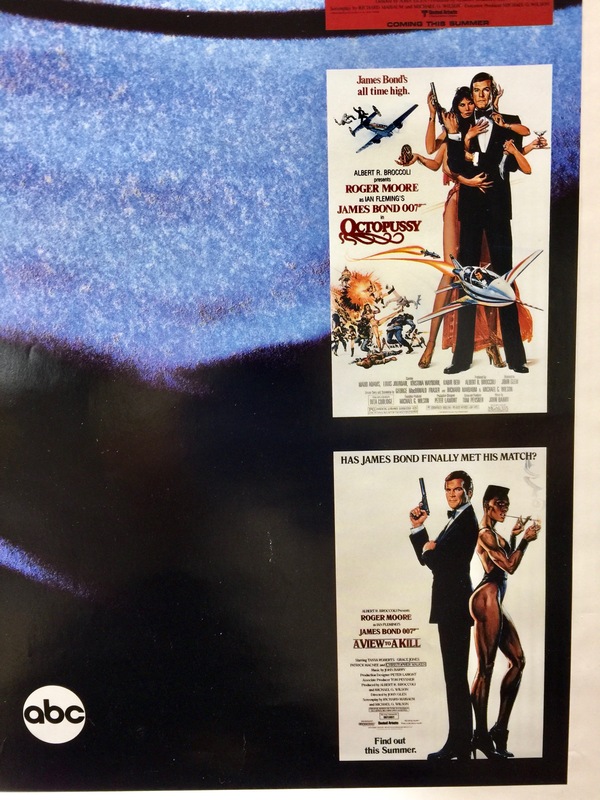 The show features Roger Moore (who played James Bond from 1973 through to 1985) in a series of Bond like locations (on a train, in a restaurant, skiing, etc) discussing 007’s world and showing clips from previous films in the series and ending with some clips and behind the scenes footage from The Living Daylights. 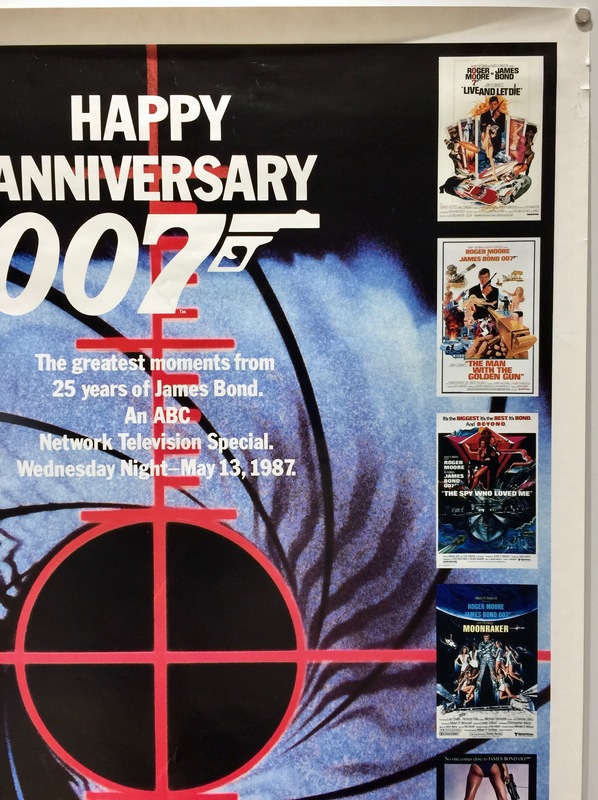 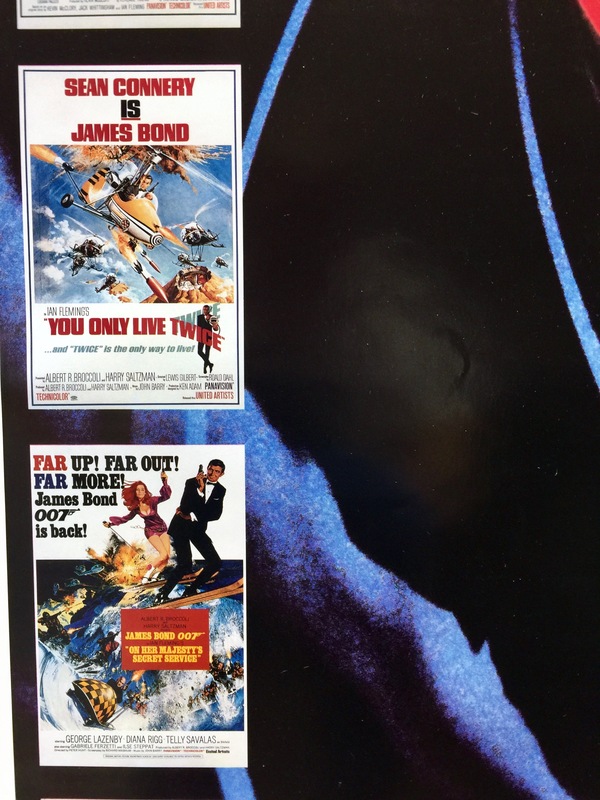 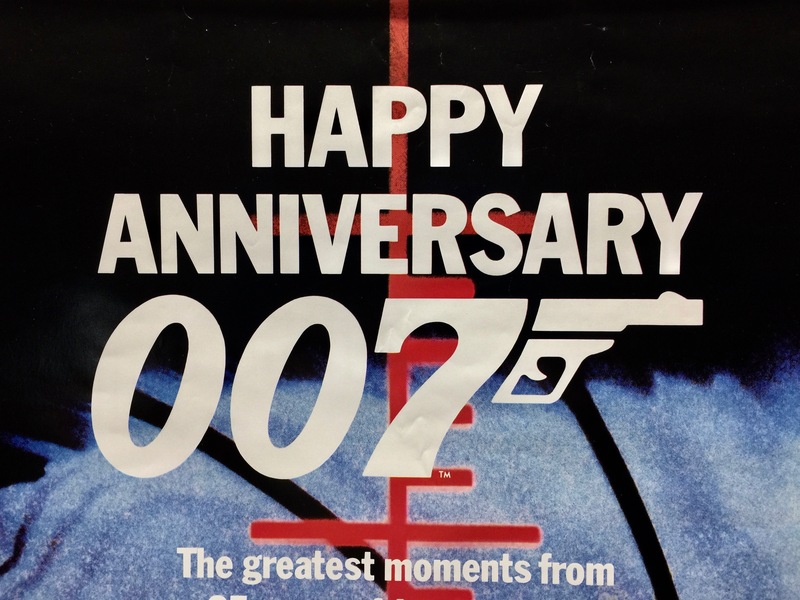 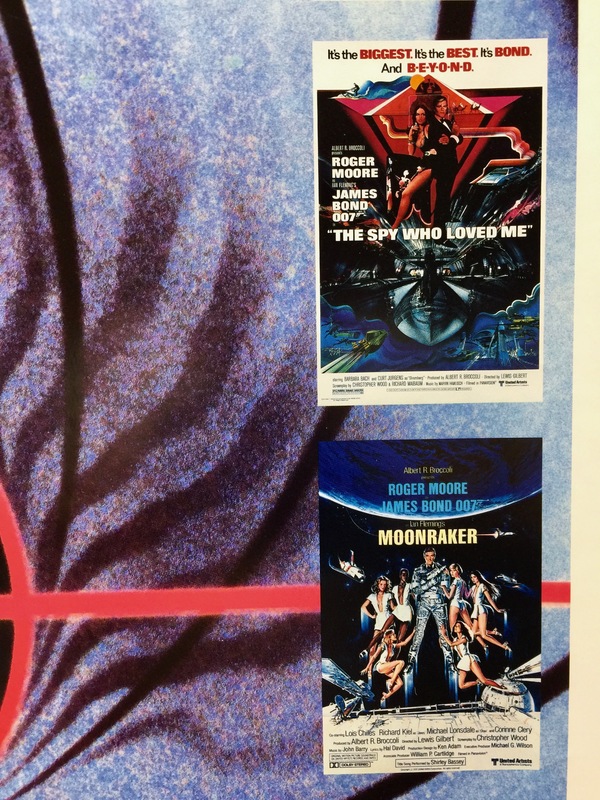 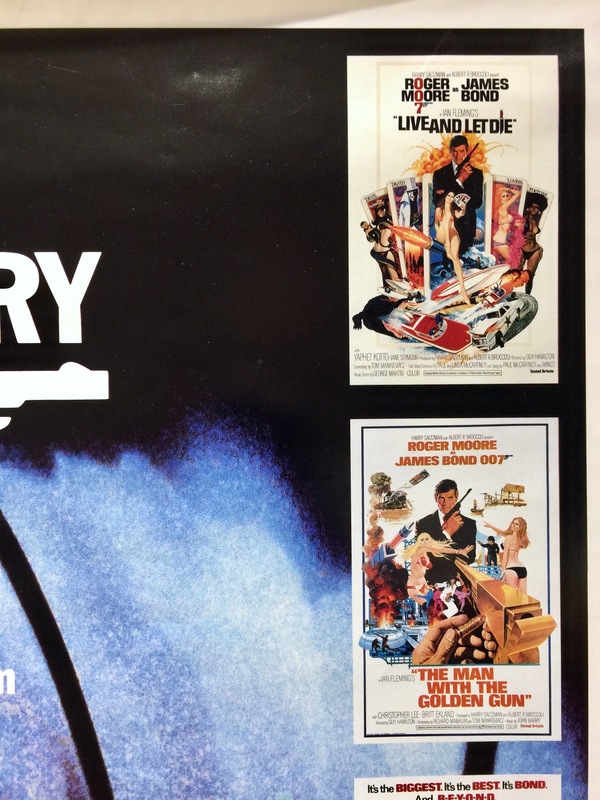 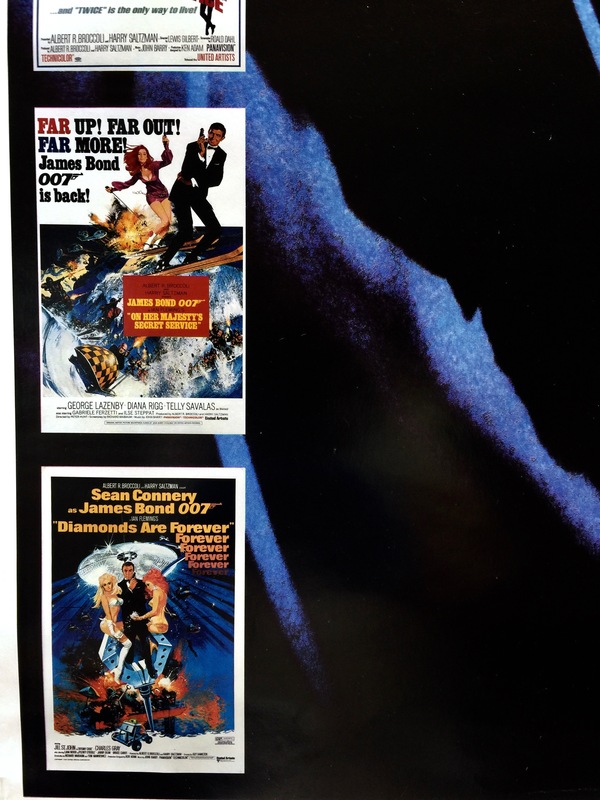 Promotion for Happy Anniversary 007 began even before the documentary had been filmed, with Roger Moore and Cubby Broccoli discussed the special with television critics. 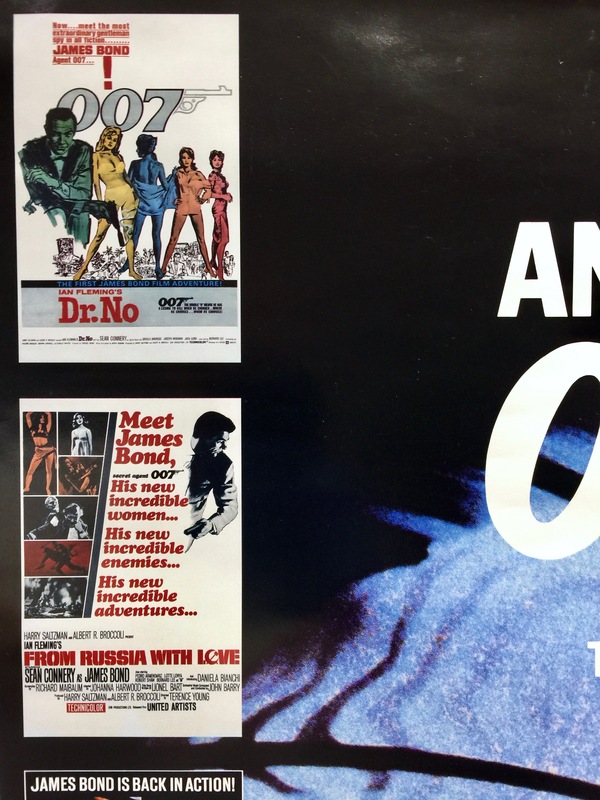 Roger Moore told the critics that his hosting duties were proof that he wasn’t doing another Bond film. 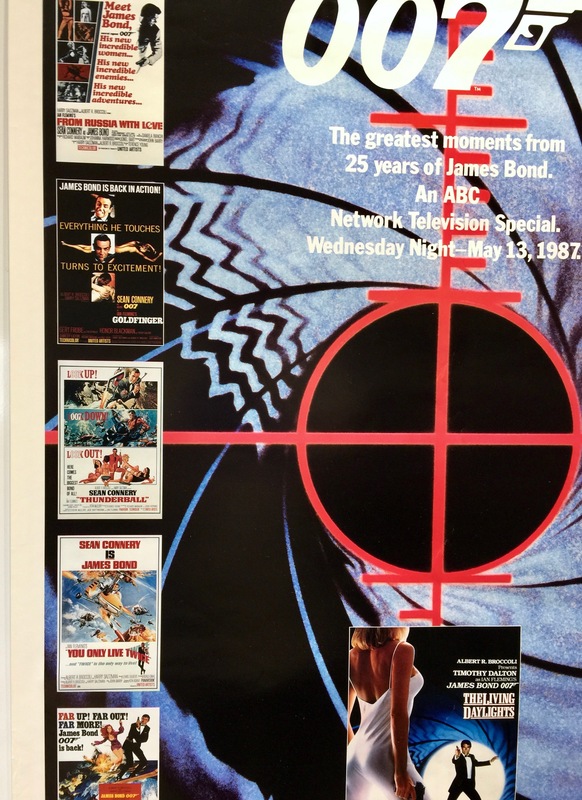 The special was well marketed with on air promos, TV guide advertisements and posters. 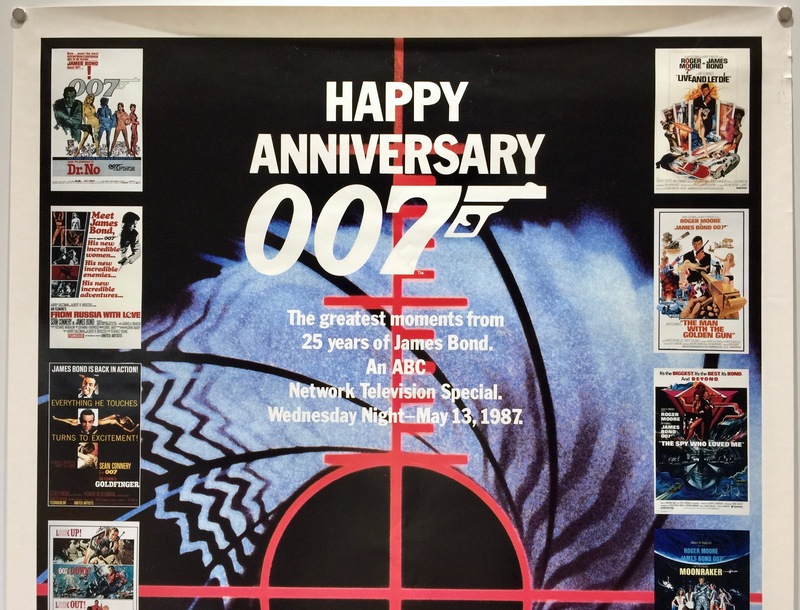 After airing in the U.K. on August 29th, it was eventually released on VHS tape in the US and on laserdisc in Japan. 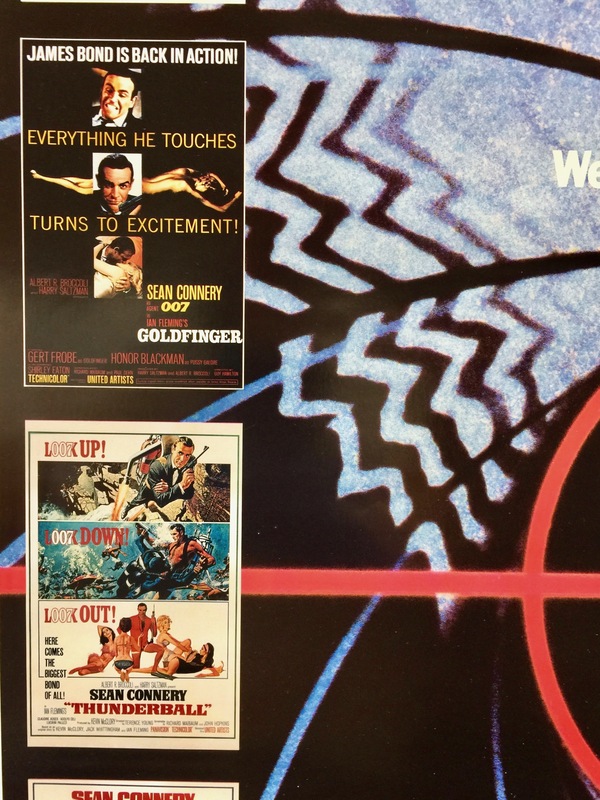 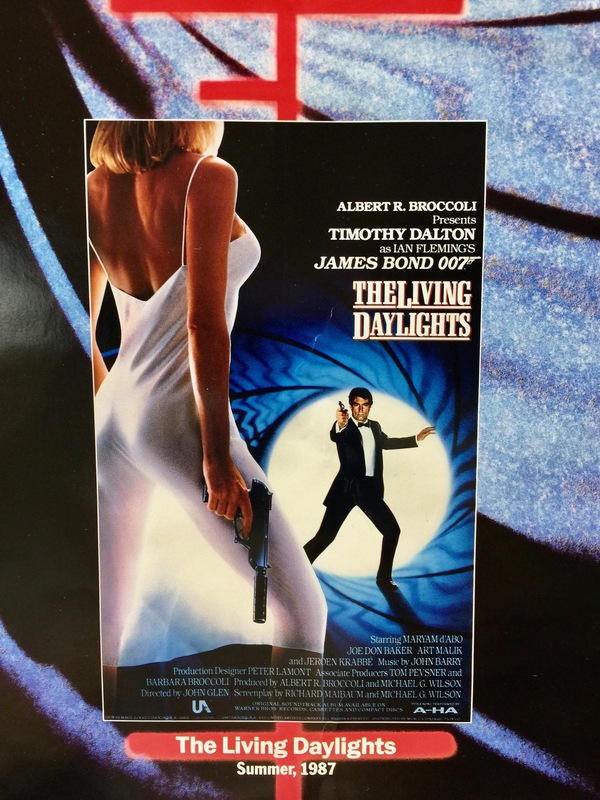 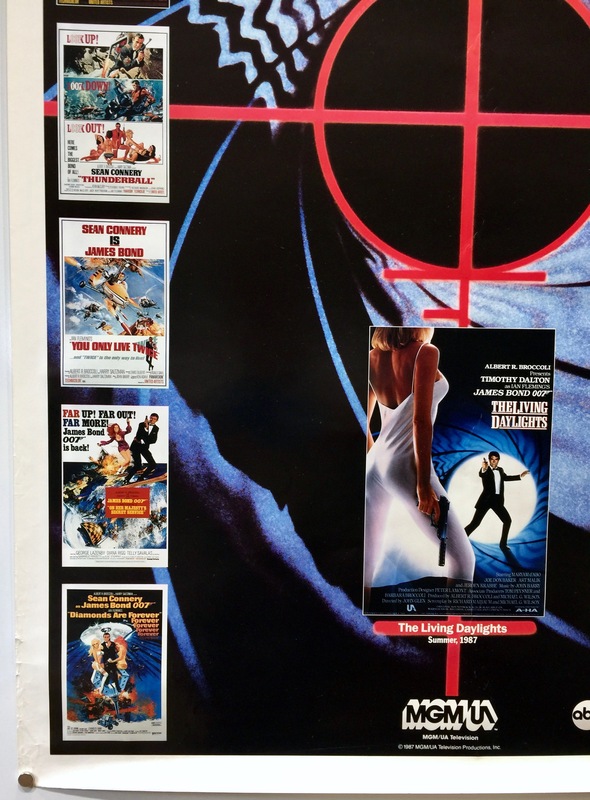 It was also included on the Special and Ultimate Editions of the DVD and Blu-ray release of The Living Daylights. 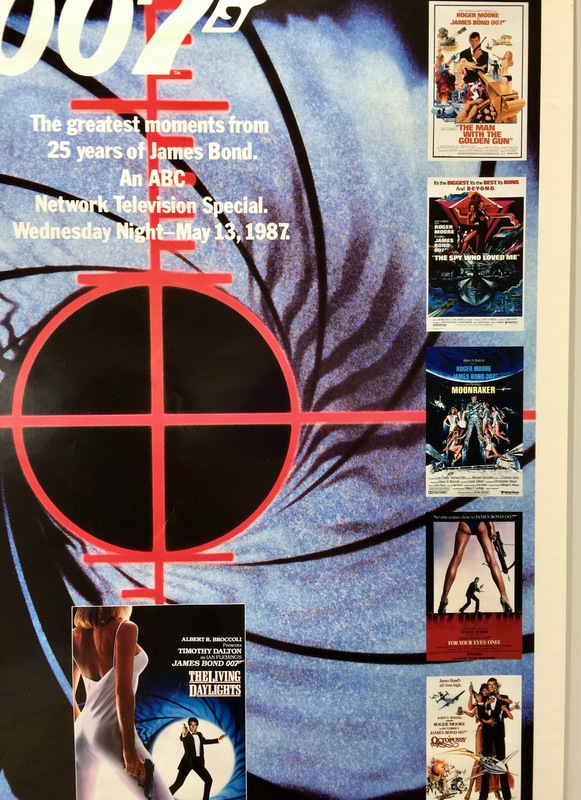 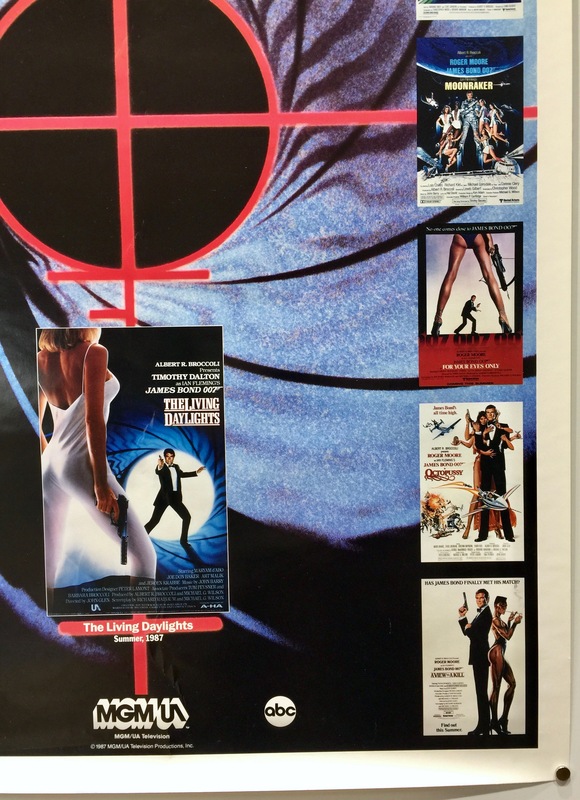 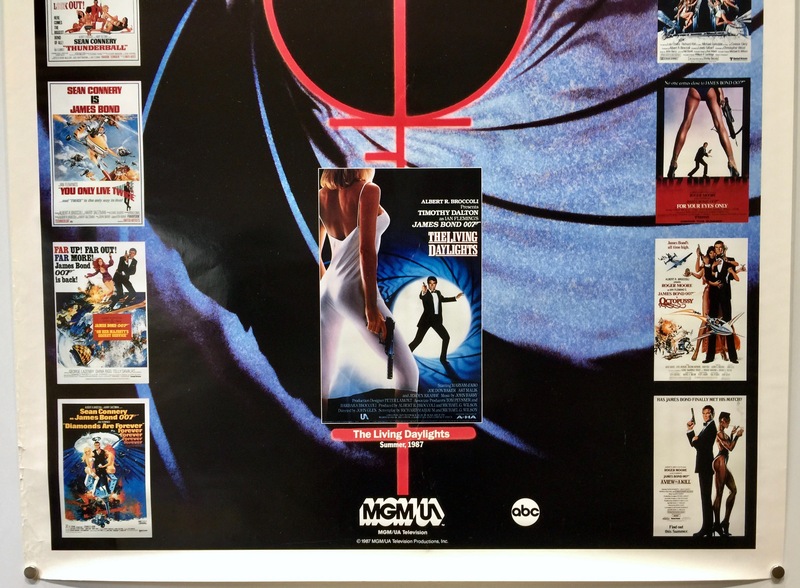 The best moments include a montage of 007 gadgetry and a pageant of such Bond girls as Ursula Andress, Honor Blackman and Barbara Bach.